United Arab Emirates, January 2019: When in Rome, walk a mile in the shoes of a local born and bred Italian by indulging in authentic Roman culture with Rome Cavalieri, A Waldorf Astoria Resort. The five star hotel offers a selection of perfectly curated experiences focusing on ancient art, culture, food and wellbeing, helping guests create a truly memorable stay. 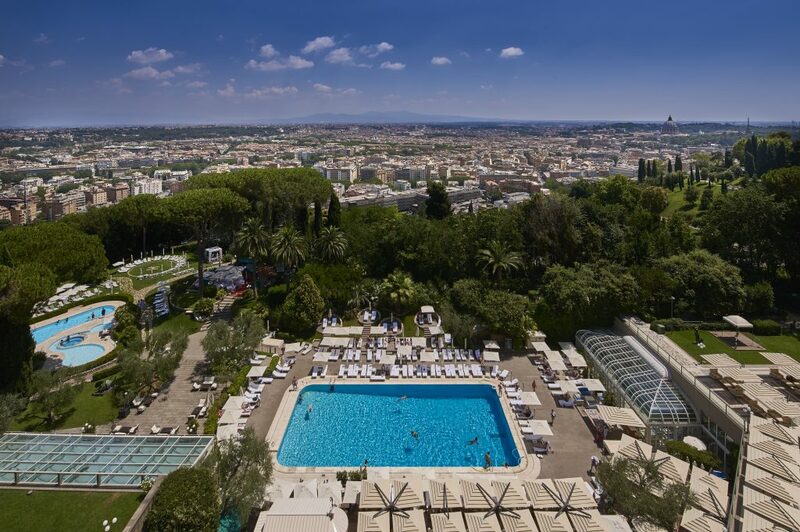 From discovering the city in a vintage car and crafting authentic Roman sandals, to the new Jet Lag Therapy, Rome Cavalieri combines the essence of luxury, personalised service and a splash of culture to create the perfect holiday. Located on a small rocky residential side street in Rome, guests are invited to visit a traditional workshop where the aromatic scent of leather fills the air and creativity is encouraged to craft authentic Roman sandals. Here, guests will not only learn the art of cobbling shoes under the guidance of a local Italian artisan but take a hand made peice of Rome back home with them. Includes a tour of the city in a vintage Italian car, like a Fiat500 or Alfa Spider. On this chauffeur driven and guided tour of the city, a local guide filled with cultural knowledge is accompanied by a professional photographer, so guests are able to roll down the windows, enjoy the crisp Italian air without the modern day pressure of capturing the instagrammable moment. Upon arrival, guests are greeted by the family that has been doing this for centuries along with their pack of well-trained dogs. After the activity, lunch is served while discussing food, as Italians and the best way to cook with truffles. The afternoon is dedicated to a culture stop at Assisi and the day ends with a basket full of truffles and fond memories. Travellers exhausted from long journeys can now book a personal consultation with the on-site Jet Lag Guru who will advise guests on how to treat the symptoms of long-haul travel. Thanks to a new partnership with Aromatherapy Associates, the Jet Lag Guru can book guests into the award-winning Cavalieri Grand Spa Club for the new Jet Lag Cure treatment. Guests will then receive an Aromatherapy Associates Revive & Reset Edit that will ensure that they continue to get their body and mind in sync with local time and enjoy a rejuvenating start for business meetings or their holidays. Those with an edgy sense of adventure are urged to book a vespa, whereby drivers will treat them to a tour of the Eternal City, freshly squeezed olive oil tasting, autheitc cooking classes with Chef Giulio Terrinoni and creamy Gelato Making at Giolitti. Upon their return, guests are presented with a Vespa branded gift in their room. Prices start at AED 5,213 (2 Pax for 7 hours) includes 2x Rome Cavalieri Branded Vespas with drives, 1x seven hour tour of Rome with Olive Oil Tasting, Cooking Class and Lunch with Chef Giulio Terrinoni and Gelato Making at Giolitti, 2x Vespa/Rome Cavalieri Branded take away in room upon return.